Its almost 2014, New Years eve this evening, about 9 hours to go. This year has been a horrorshow, with a few exceptions, just enough to keep me sane ( but thats a matter of opinion, mostly mine!). 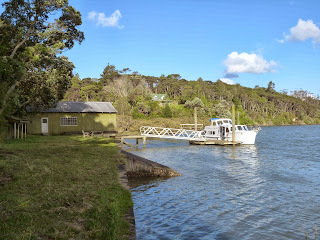 But the next year is shaping up better, I'm in much better shape, I've two SCAMP Camps plus the Academy sailing skills courses to teach, a third one here in New Zealand, plus the chance of more teaching about design. I'm working hard to be fit enough to cope, not like last time where I had to creep away for naps and meds to get through the day. I'm part of the time resident on my ship Kairos, and thats working out nicely, have done a bit of cruising in her, some with family aboard and some with friends Maureen and Jamie Orr from Victoria on Vancouver Island. It was nice cruising, and the ship is proving to be both comfortable and reliable, perhaps some work to do on damping out the clatter from the big Ford diesel, and there is quite a bit of deferred maintenance in terms of paintwork to catch up on, but its nothing major. I've run about 400 litres of diesel through the engine so far, thats about 50 hours of running and its not smoking like it was, starts instantly now, and its initial problems seem to have simply been caused by being too often run sitting in the marina with no load on. As a by the way, I got a 12 m marina berth in Marsden Marina as part of the deal, its got 3 years to go on the lease and I'd be please to sell it, very cheap if anyone is interested. 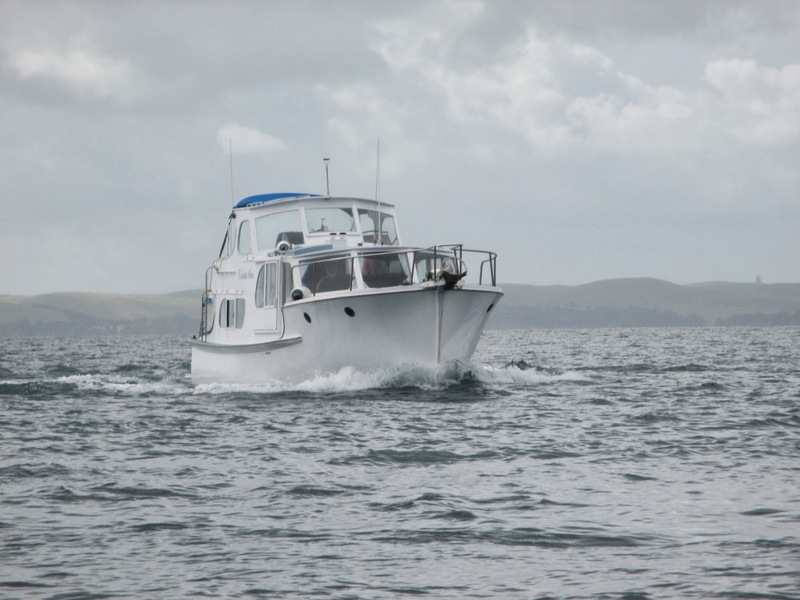 While out with the Orrs, Jamie got me to drop him in the dinghy way out in the middle of the passage between Rakino and Whangaparoa, and run back and forth to get some photographs of her under way. Heres a nice shot, we're running at about 8 knots , if you could see me behind the starboard side windscreen in the main cabin you'd see a big smile. So from me here on New Years Eve, all the very best to everyone for 2014, its going to be a good year! I had someone ask " isnt it cramped living on board a boat?" The main cabin in my ship is about 11 ft x 10 ft wide, there is a cabin forward of that which is in the process of being converted into an office complete with drawing board ( yes there is that much space in there) and aft of the main cabin opposite the galley there is a double bunk, and aft of that again the cockpit is about 6ft longwise and 9 ft wide. Yes its smaller than a house, but there is a very very big outside just outside and that makes the inside feel a lot bigger. Here are some shots of the interior. 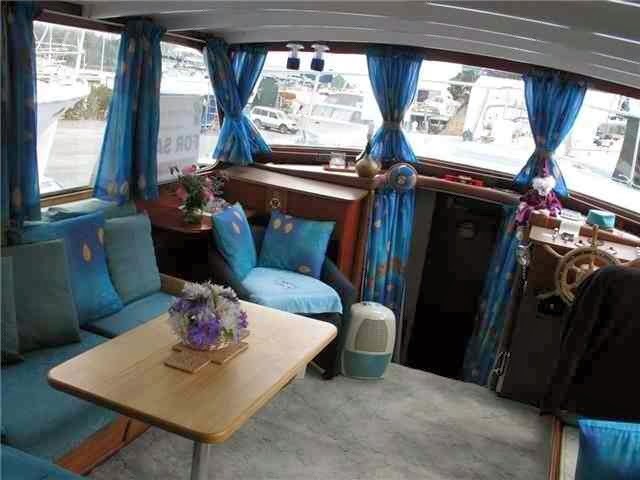 Before I bought the boat, there will be some minor changes. I have a deepfreeze and a second refrigerator powered by a compressor on the engine which is good when cruising, have pressure hot water and a proper shower too. I've moved, well, sort of. Have an internet connection through my cellphone, have a cellphone even! And thats a big deal as I've not had one since the big bricks, managed to avoid them all these years. So I'm technically up to date with a phone that is smarter than I am, a Macbook, printer and all on board the ship, and the ship is now on her berth up in the Wade River. Its a lovely spot, a couple of miles up a narrow but ok channel, not far away from the city by road or ferry for my three times a week commute, 15 mins walk to a decent corner shop, good cellphone reception and lots of birdsong in the trees. I'm looking forward to being there. 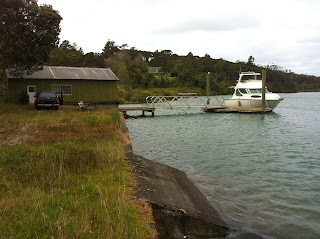 Here are some pics of the little ship "at home" . No its not as pretty when the tides out, but even the mudbanks have their appeal with the seabirds hunting on them. The vista is ever changing with tide moving, wind and currents, and the bush all around. 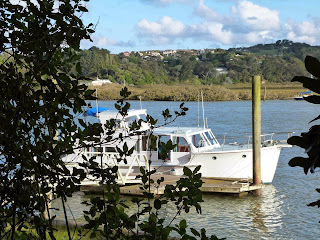 I have a drawing board set up, will be building an office in the forepeak and will be fitting a bigger battery bank and inverter to make sure that I can carry on working without shore power when I travel to another quiet spot for a change of outlook. I've got Mike Monies Footloose project on the board at the moment, one of several projects that make up a backlog that needs finishing before I get onto new ones, but some are particularly interesting and Footloose which is a semi displacement monohulled trailerable "houseboat" about 22 ft x 8 ft presented several challenges, its going to be really interesting to see how the theory behind the unusual hull works out in practice. Its been a while, and I think that I've said that before. But life is on the move, I'm much improved on where I have been at for the last much too long a time healthwise and the biggest effect of that change is that I'm much more positive in myself. I'm getting through a lot more work although there is a big backlog so, no new design work until I'm all caught up. I am though going to be living part time on board a boat, a dream that I'd had for a very long time but never thought that I'd have come true. My good wife Denny pushed me to make some changes, has helped finance the new boat and has been very encouraging about the whole thing. So, I am taking my drawing board, and moving on board "Kairos" ( nee Carlotta Ann, a name that meant a lot to the old owner but not to me, the new name is a Greek word for "Seize the opportunity" which means a lot more for me). Kairos is 40ft x 11ft x 32000 lbs , thats about 12m x 3.2m x 14000 kg. 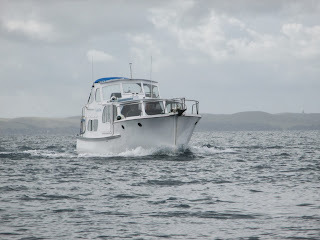 She is powered by a marinised Ford 5.9 litre 6 cylinder diesel, will run at 10.5 knots wide open, but at that speed is using about 4 US Gals ( 15 litres) an hour. At 8 knots though she is only using 6 litres an hour, thats about 1.5 US Gals per hour which is very cheap running considering the boats size and weight. She does though carry up to 600 litres of fuel, and at 7 knots that gives her over 1000 miles of range, and no I'm not going to take her to Fiji. 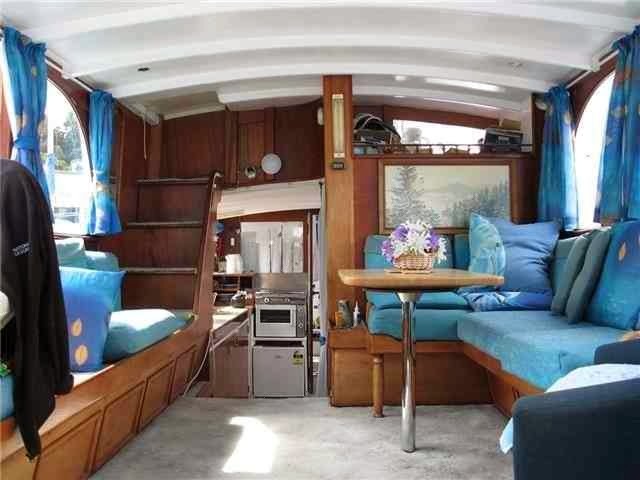 Shes superbly comfortable in an old fashioned way, a lovely old ship which was built in 1972 and owned until 2011 by the same owner right through. 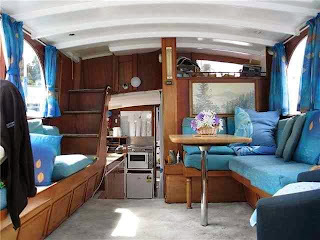 She has immaculate maintenance records, a large selection of spares including a spare propellor, filters for fuel and oil, water and fuel pump parts, gaskets and fuel line fittings. The parts stock alone would have cost a pretty penny. 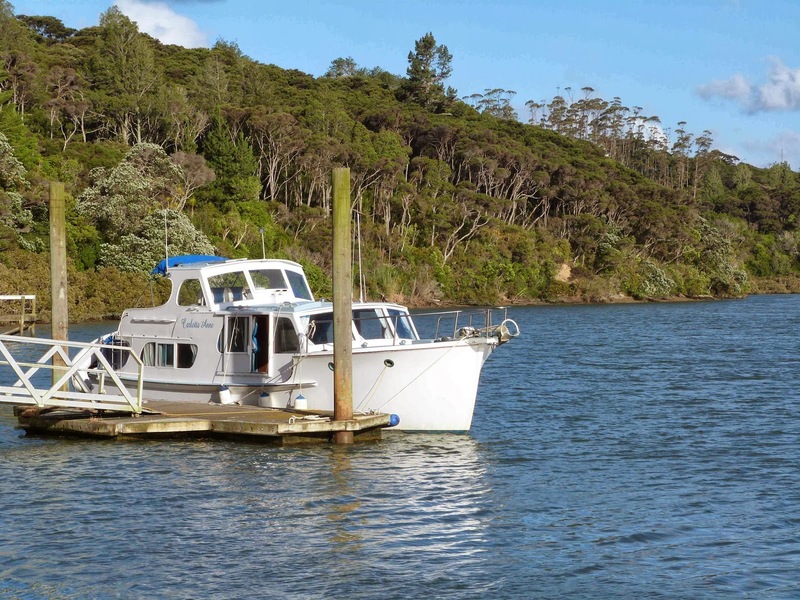 We bought her about 2 months ago, and to date have only had her out twice, but the second of those runs was the 80 mile run from where we bought her in Whangarei to Westpark marina in Auckland. The plastic horror at the pontoon is not mine of course, and will be gone by the time I take Kairos around to her new home. I am anticipating getting a lot more work done than I've been able to over the past while, Denny is planning to come up to join me about every second weekend, and I'll be back at home with her alternates. The river is easy distance from the Gulf Harbour Marina for fuel and there is a boat club with a slip maybe a mile away down stream. 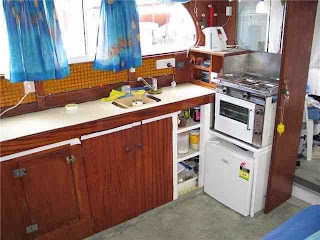 We're planning on cruising a lot, this is comfortable cruising, pressure hot water, shower, big comfortable bunks and a full galley with deepfreeze and fridge. There is a small RIB tender on davits, all mod cons and with her speed she is only a couple of hours away from a wide selection of safe and interesting harbours where we can hide away and relax. So what about sailing? I can hear lots of people saying " but I thought he was a sailor"? Yep, no problem, there is space just astern of that fiberglass monster you see above where I can drop a mooring with a running lead and leave "Spook" afloat ready to sail. If anything she'll get a lot more use than she has over the past couple of years. I hope to have enough time to putter around building a new rowing boat, something light that will suit the river and I'll be using that to keep up my exersize program going, something that is essential if I am to get back to where I want to be physically. ( Gyms, even with lycra clad lovelies, dont do it for me I'd much rather be out on the river, must be getting old, or sensible or something). 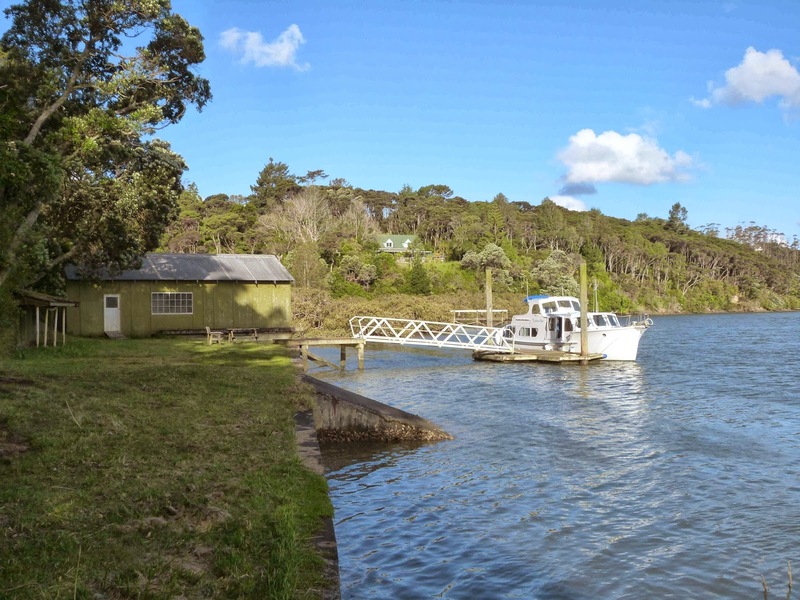 The Small Craft Skills Academy website is under development right now, much more detail to come but the one that my Kiwi friends will be interested in is the Skills Academy that will be run at Lake Rotoiti Rotorua in March next. 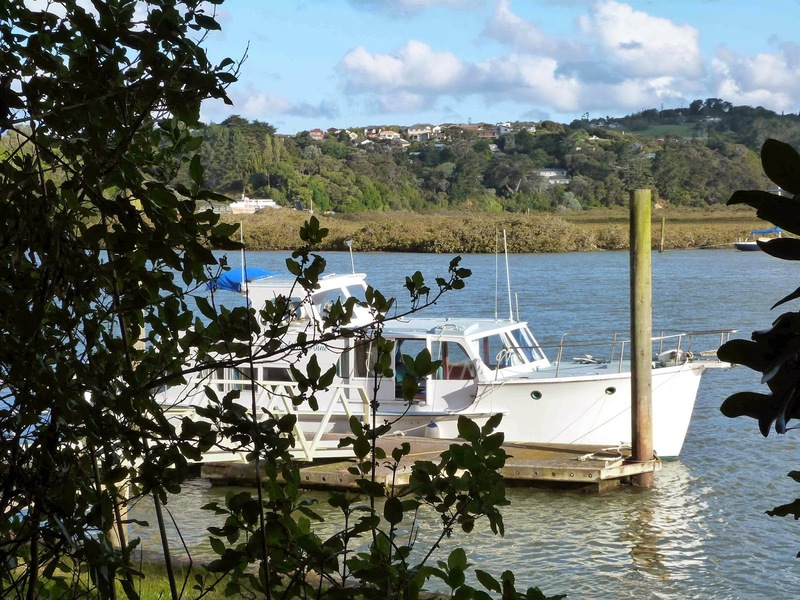 Howard is coming down to NZ to participate, and it will be be a great chance for small boat cruisers to meet him and have him mentor and teach them some of the skills that he has developed over his many years of small boat adventure cruising. We also have several participants coming in from overseas, this will be a great social event as well as a learning one. So there are big changes in my life, positive ones, I've lots of work to do to catch up with the backlog which includes finishing the new edition of the book, but then I can get on with new ideas and new designs.